Nutrition Evidence – Do Nutrition Labels Influence Healthier Food Purchases? Do NUTRITION LABELS influence HEALTHIER FOOD purchases? A new analysis of food label viewing behaviour shows that consumers look at around 1/5 of purchased products labels, focusing mainly on convenience foods, breads and oils. The study has been BANT enhanced on the NUTRITION EVIDENCE database to provide a full plain language summary to allow quick and easy access to the science. Read it here. NUTRITION EVIDENCE is open access and FREE so please have a browse through some other content whilst you are there http://www.nutrition-evidence.com. If you like what you see, why not register as a user of Nutrition Evidence and receive monthly expert-generated alerts on the latest findings in nutrition science? Click on Subscribe on the homepage. 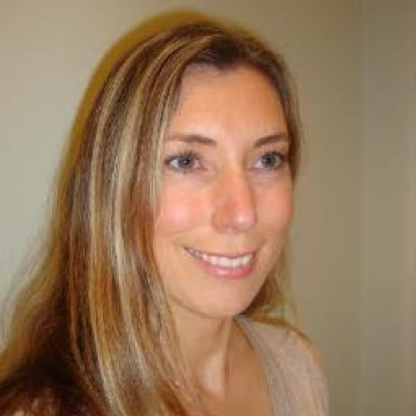 Very LOW-ENERGY diets leading to significant weight loss are found to be acceptable and feasible in motivated patients with Type 2 DIABETES, a new small study finds. The study has been BANT enhanced on the NUTRITION EVIDENCE database to provide a full plain language summary to allow quick and easy access to the science. Read it here http://www.nutrition-evidence.com/article/28727247?term=28727247. You are receiving this email because our records show that you have not renewed your memebership yet. If you are in the process of upgrading your membership, you can ignore this email. If you believe you have renewed and are receiving this email please contact me at generalmanager@bant.org.uk. 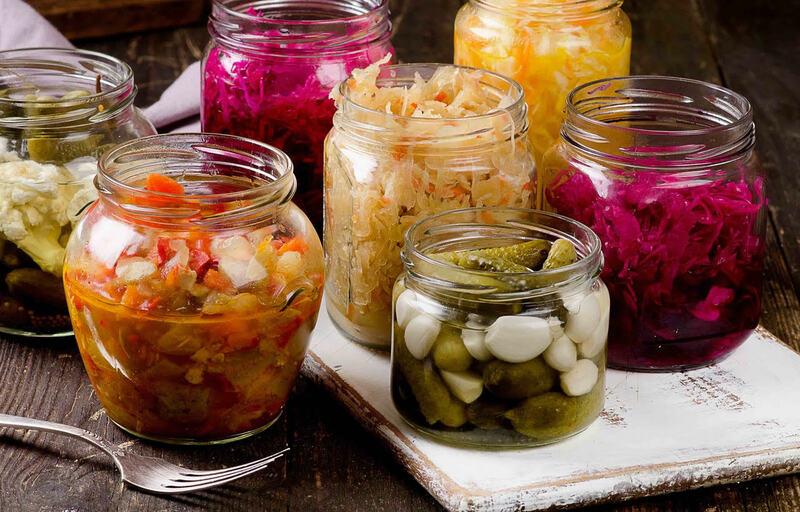 BANT (British Association for Nutrition and Lifestyle Medicine) was interested to read ‘Our Food in the Anthropocene: Healthy Diets from Sustainable Food Systems’, by The EAT-Lancet Commission. Whilst BANT fully supports considerations that contribute to the urgent environmental debate, it feels obliged to sound a note of caution on some of the specific nutrient recommendations made. 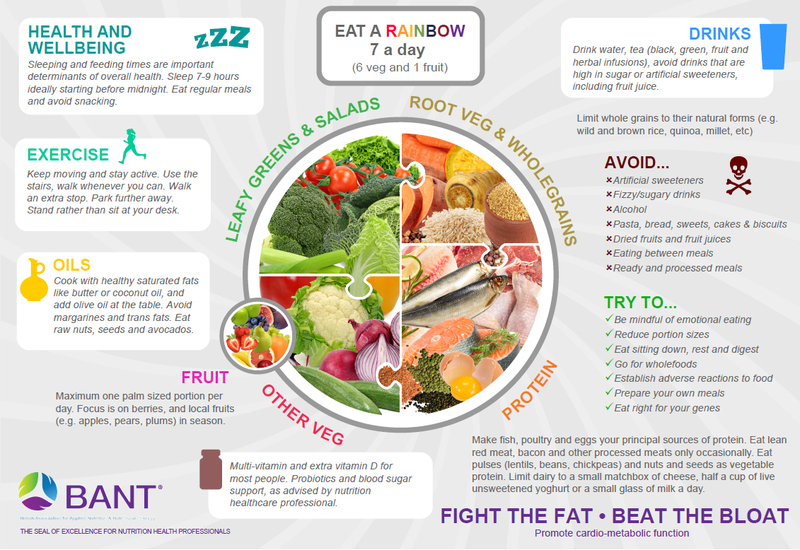 As BANT has reiterated many times in the past, its practitioners do not suggest ‘one-size-fits-all’ advice but take into account individuality that enables personalisation of dietary advice based on the most up-to-date research available. 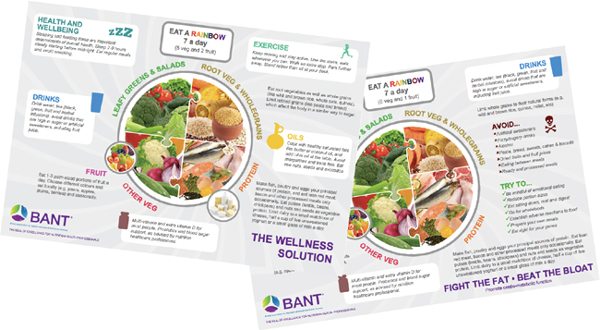 BANT practitioners are made up of omnivores, flexitarians, vegetarians and vegans amongst others, and they support clients who also have a range of dietary preferences that are equally diverse. The key is to respect our client’s health, whilst encouraging sustainable and respectful eating to save our planet. However, BANT does sound a note of caution regarding some of the more draconian recommendations. Humans are, physiologically and metabolically, omnivores and for some members of the population reducing the amount of animal protein to the levels recommended within the report, may be problematic without supplementation or intake of fortified foods (14g of red meat a day – about half a meatball, and 1.5 eggs per week, for example). BANT believes that there are other earth sustainable solutions, which also respect livestock, such as prioritising fresh, locally farmed ingredients, including grass-fed meat, over meat sources from unsustainable farming practices and industrialised ultra-processed, packaged foods. 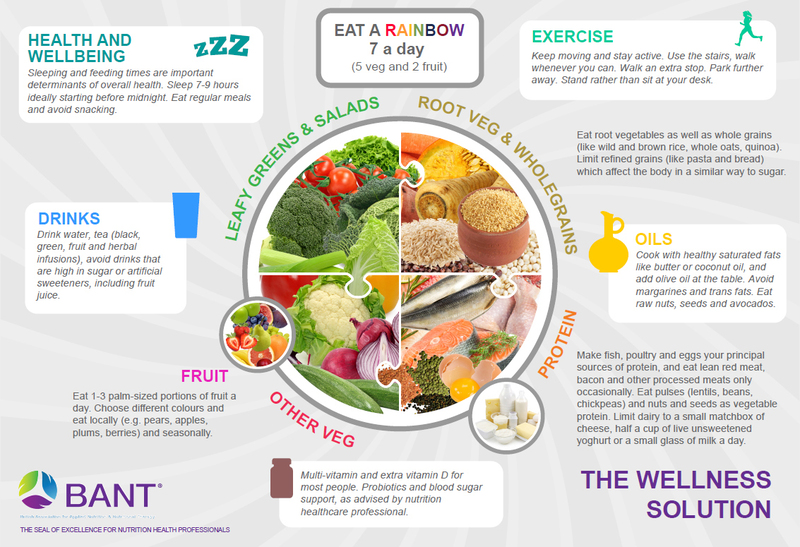 Overall the goal to support the increased intake of plant-based foods, including legumes, pulses and nuts, with moderate consumption of red meat and added sugars is sound advice and BANT continues to promote its Wellbeing Guidelines campaign to encourage the British people to eat more individual ingredients and unprocessed food. Going back to some old-fashioned values, such a family meal times and improving the nations cooking skills to use fresh ingredients, will go a long way to help the health of the individuals. 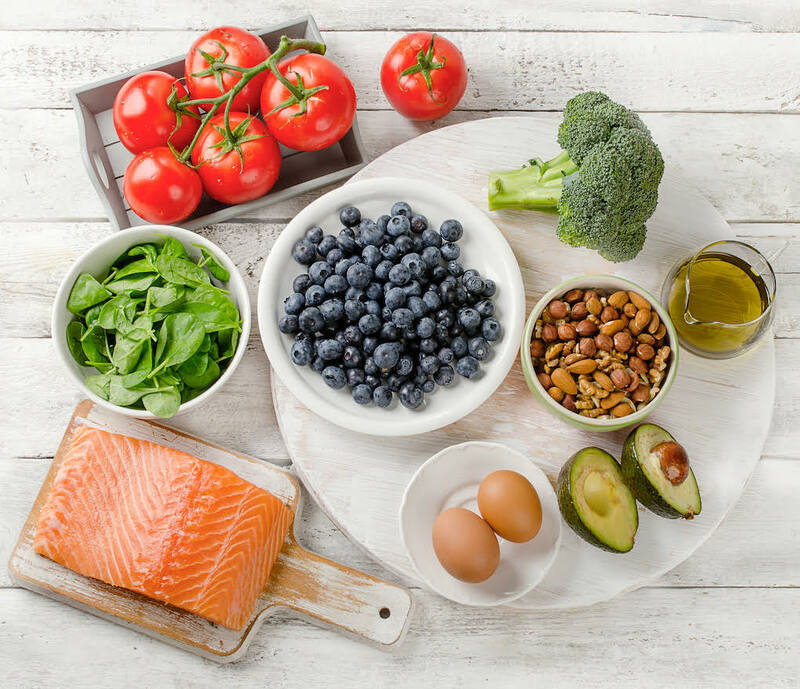 A small study finds that increased PROTEIN consumption with moderate calorie restriction was 140% more effective for reducing INSULIN RESISTANCE compared to a conventional, calorie-matched diet. This paper has been BANT enhanced on the NUTRITION EVIDENCE database to provide a full plain language summary to allow quick and easy access to the science. Read it here http://www.nutrition-evidence.com/article/29143803?term=29143803.